If you have been playing golf in Florida this winter, you will have experienced some great weather, a plenitude of fantastic courses and probably steep pricing. Hidden away in the heartland of Central Florida is the Citrus Golf Trail(CGT), a collection of seven golf clubs with nine 18 hole courses located off of Highway 27 in Highlands County, an area with citrus, beef and milk cattle as its primary resources. The CGT is equidistant from the Atlantic Ocean or the Gulf of Mexico and about just over an hour drive from Orlando or Tampa. Long before the Interstate Highway system, Highway 27 was one of the main thoroughfares for northerners to come to Florida. It and the railroad made the trip convenient for affluent snowbirds to find their way here to enjoy the tropical climate away from the harsh winters. Hotels sprung up, towns were established and golf courses were built to entice the Yankees to stay and play all winter. Highlands County had a new revenue stream- golf. There are three main cities that comprise the bulk of the population of Highlands County, Avon Park, Sebring and southern most Lake Placid. I will start my journey in the “City of Murals”, or as their city logo states, “Caladium Capital of the World”. Lake Placid is a quaint little town and a great place to live or visit, with over 40 murals on business and local buildings, a Clown college and friendly welcoming residents. On the west side of town lies Placid Lakes Country Club. Jeff Harstine, a worldwide golf course builder with close to 30 years experience, bought the club in 2004 and completed a major renovation of the layout in 2005. Set in a beautiful natural setting, the 7000 yard golf course boasts tifeagle greens, risk reward shots and 5 sets of tees for everyone to enjoy the placid surroundings. After my fun and challenging round I found one of the best restaurants right inside the clubhouse. Special dinners every night, private functions and delectable choices with friendly service at Placid Lakes Golf & Country Club. Visit PlacidLakesCC.com. Up the road to the north about 15 minutes is the county seat and largest city in Highlands County, Sebring, home to the 65th Annual running of the Mobile1 Twelve hours of Sebring, being held March 15-18, 2017. While on my golf excursion the folks from International Motor Sports Association and Visit Sebring took us to the race track where we witnessed first hand the race cars, drivers and crews from the BMW race team, testing their cars. What a thrill. If you haven’t ever been there for the race, go experience it. WOW! If you really want to stay and have a front row seat, window or room for the race, The Chateau Elan Hotel & Conference Center sets right next to the race track, and is one of the finest hotels to stay and play out of while visiting the Citrus Golf Trail. Learn more at CESebring.com. About a half mile from the golf course on Hwy. 27, sets the Inn on the Lakes, a lovely place to stay with 155 spacious and beautifully appointed guest rooms and suites. A friendly and welcoming staff make sure your time in Sebring is as comfortable as home, and their award-winning Chicane’s lakeview restaurant is second to none in the County. I have been writing about golf in Florida for 15 years and every time I visit Highlands County, I stay at the Inn because of its proximity to all the courses in and around Sebring. Check out the best stay and play deals at InnontheLakes.com. Another course owned by Jason and Candace Laman, the same couple who run Harder Hall, is Golf Hammock Golf & Country Club, which is a Ron Garl 1978 design in a residential community of the same name. The 6430 yard, par 72 course layout is in a four pointed star configuration, where every 4 or 5 holes return to the clubhouse, which is great for my buddies and me to reload on beverages more often. Go to GolfHammockGCC.com for tee times and rates. Still in Sebring, traveling north on 27, you will find what I believe is the best of the Trail, Sun n’ Lake Golf Club. This championship facility boasts 2 outstanding and well kept 18 hole golf courses, a great clubhouse, outstanding practice facilities in a sunny community of friendly residents, both retired or not. In 1976, Deer Run, a Don Dyer design opened, and in 1999, Charles Ankrom added Turtle Run, giving the members and guests two distinctively different places to play. Billy Casper Golf has been managing the facility for quite a few years, and recently brought in Jim Kurtzeborn to take the service and hospitality to a new level. I had the opportunity to play golf with Jim and his warm outgoing personality will surely rub off on his staff and everyone on the Citrus Golf Trail. You don’t want to miss these gems. SunLakeGolfClub.com. A few miles northeast in Avon Park lies Pinecrest Golf Club, a vintage 1926 design bordered by orange groves and stately forests and the only Highlands County member of the Florida Historical Golf Trail. In 1959 the course hosted one of the first NBC-TV televised ‘World Championship Golf’ events, with eight American Ryder Cup members vying for $171,000, which was a huge payout in those days. Dr. Cary Middlecoff was the winner. The course has gone through numerous owners over the years. The current owner and manager, Joe Staffieri, regrassed all the greens in 2016 with tifeagle bermuda. This was my first time to play Pinecrest and not only was it a great track, but I took home all the money. GolfPinecrest.com is where you can book your round. Just a few miles northeast on Scenic Highway 17, you will find Highlands Ridge Golf Club with two 18 hole different championship courses playing out of its own clubhouse. A few years ago Steve Smyers reworked the South, the oldest, into a more challenging and enhanced 6200 yard golf experience. The North, by Dave Harman, is probably the most challenging track on the CGT, rolling out to over 7,200 yards with some tough holes, particularly when the wind is blowing which it was the day we visited. The folks at Highlands Ridge call themselves “Florida’s friendliest place”, and the day we were there, it showed. Don’t miss these two. HighlandsRidgeGolf.com. I would be amiss if I didn’t mention Cowpokes Watering Hole, where our hosts Tracy McCoy and Casey Hart took Jim Kurteborn, Ron Garl, Jeff Harstine, Mike Jamison and the rest of us golfers for a great dinner with exceptional service. The place is huge with inside and outside dining, a fabulous menu located on 27 south in Sebring. The northern most of the CGT is River Greens Golf Club, just north of Avon Park off of 27. The 6400 yard 1969 design by Jack Kidwell features a plethora of unique holes including a drivable par 4, a risk/reward par 5 that goes around Lake Tina and 3 par 5’s on the back nine. I always enjoy playing River Greens with their friendly staff and restaurant. RGreens.com. That is the Citrus Golf Trail from bottom to top within 40 miles. If you want a fabulous variety of golf courses in quaint towns the Trail is the best value for your group, where you won’t have to take out a loan to play while still staying at comfortable hotels. 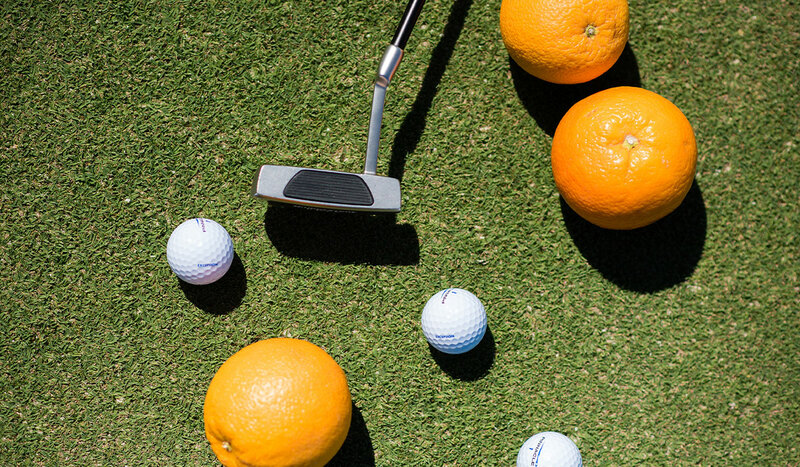 Go Play The Citrus Golf Trail.